Before racing begins in Texas I take a look at five of the things you should be watching out for. From the rumours surrounding Kimi Raikkonen not racing the last two grand prix to controversy surrounding F1s unpaid drivers. Kimi Raikkonen looks set to sit out of the final two grand prix of the season according to Finnish reports. They claim Raikkonen’s manager has revealed he will undergo surgery on a back injury this week. It is thought this is to ensure the best start to the 2014 season with Ferrari. The surgery would certainly leave him out of the final two Grand Prix in Austin and Brazil. It is thought the Finn has still not been paid by Lotus and despite the team saying they had sorted the problems between driver and themselves it seems all is still not well. But who will step in for Raikkonen if he cannot race? Third driver Davide Valsecchi, reserve driver Jerome D’Ambrosio or even potential driver for 2014 Nico Hulkenberg. Valsecchi is the most likely to get the nod. With Raikkonen going unpaid all season by Lotus a number of drivers have spoken out in support of the Finn. There are also rumours other drivers have not been paid – with one of them thought to be Sauber driver Nico Hulkenberg. Daniel Ricciardo described F1 as ‘not in the best shape’ amid the controversy. He said the situation had been discussed by the GPDA. He said he felt for the drivers who had not been paid and suggested something needed to be done. Talented drivers expect to be paid. The situation is closely linked to why F1 has pay drivers. It will always have them simply because it will always need them. Questions are surrounding the fitness of Fernando Alonso following an incident in Abu Dhabi where he hit several high kerbs. The Spaniard underwent medical checks before being allowed to fly following the race. It is thought Ferrari may make a final decision on his fitness on Monday ahead of the race in Austin. If he were not able to race the team could draft in Jules Bianchi, who currently races for Marussia, and who is part of the Ferrari young driver scheme. Alonso is expected to pass the medical exam according to reports in Spain and Italy. The deal between Lotus and Quantum was supposedly nearing completion at the last race in Abu Dhabi. Yet over a week on nothing has been announced. Quantum plans to buy a 35 per cent stake in the team through new shares issued by majority owner Genii. However the completion of the deal has not been announced and Lotus seem to be keeping coy over the deal. So who is dragging their heals – Quantum or Lotus? While no deal is finalised the 2014 driver market remains in limbo. Lotus is essentially the best seat available. Lotus and Quantum want Nico Hulkenberg – yet to secure him the deal needs to be finished. If not the seat is likely to go to Pastor Maldonado. Elsewhere Force India, Williams and Sauber wait to see the outcome before announcing their driver line-ups for next season. Alexander Rossi will get a outing in FP1 for Caterham this weekend. He has previously driven the Caterham twice in Free Practice – once in 2012 at the Spanish Grand Prix and again at in 2013 at the Canadian Grand Prix. The outing will give Rossi a chance to demonstrate his skills as he looks to secure a race seat in F1. It is not known who will drive for the team next year so this will be a good opportunity for the American to put in a good performance in front of a home crowd. While it may be more of a publicity stunt Rossi can certainly use it to his advantage. Newly crowned 2013 champion Sebastian Vettel took his 11th win of the season as he beat his teammate to the top spot of the podium. Nico Rosberg was the best of the rest with third place whilst Kimi Raikkonen started last after being disqualified from qualifying and was out on the first lap after a collision with Giedo van der Garde. There were impressive performances from Grosjean and Perez and Force India secured a double points finish for the second weekend running. 2013 driver champion Sebastian Vettel passed pole sitter and teammate Mark Webber after the Australian made a slow getaway. From then on the German was challenged very little and finished the day with a thirty second gap over his teammate. He celebrated with some donuts but got his car back to parc ferme as he attempted to avoid a penalty. Team principal Christian Horner told Vettel he would be paying the fine for his celebrations. Webber had been passed by both Vettel and Nico Rosberg at the start but made it passed the Mercedes on the 20th lap to complete a 1-2 for Red Bull. A good day for the team who walked away with another 43 points. Nico Rosberg was the best of the rest in his Mercedes as he finished third. He had passed a slow starting Mark Webber at the start to get up to second but this did not last. Webber managed to pass Rosberg on the 20th lap to demote the German to the bottom spot on the podium. However this was 15 well deserved points for the German. Lewis Hamilton ended the day seventh after a poor start and early pit stop, he then found himself stuck behind Esteban Gutierrez’s Sauber, Jean-Eric Vergne’s Toro Rosso and Adrian Sutil’s Force India as they were on different strategies. He had also had some brake problems on the grid but still managed to come away with six points. Altogether 21 points for the team as they battle with Ferrari for second in the constructors title. Romain Grosjean missed out on a podium despite chasing Nico Rosberg to the line. The Frenchman had got a good start getting passed Lewis Hamilton and Nico Hulkenberg at the start to be up to fourth at the end of the first lap. In the end that was where he stayed to pick up 12 points despite keeping Rosberg honest until the end of the race. Kimi Raikkonen had a bad day which added to his woes. Disqualified from qualifying after failing a floor test. Lotus chose to start him from the back of the grid rather than the pit lane. He hit the back of Giedo van der Garde’s Caterham on the opening lap and damaged his Lotus’s right-front suspension. Despite a mixed day for the team it has been reported their investment deal with Quantum is set to be finalised bring some stability for next year. Qualifying on Saturday was less than impressive from Ferrari. Fernando Alonso failed to make Q3 for the first time this season qualifying 11th for it to become 10th after Raikkonen was disqualified while Massa was seventh. However in the race it was Alonso who shined. He had been behind his teammate for much of the race but after switching to the soft Pirellis on lap 44 he made his way through the field passing both Lewis Hamilton and Paul di Resta to end the day fifth. He had looked as if he had exceeded the track limits when passing Jean-Eric Vergne however the stewards investigated but did not take action. Massa ended the day in eighth. 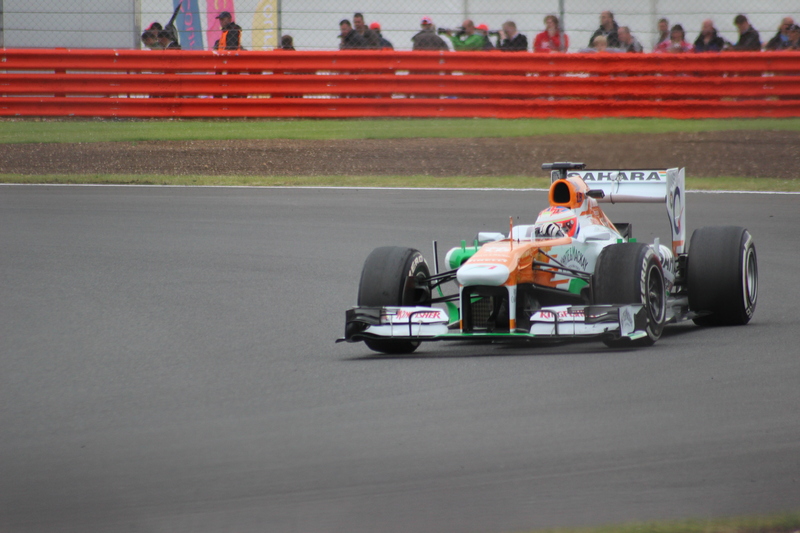 Paul di Resta finished an impressive sixth for Force India as they completed another double points finish. The Scot completed a long first stint which saw him run as high as second before he pitted on lap 20. Alonso passed Di Resta late in the race but he managed to hold of Lewis Hamilton to claim the eight points. It will be a boost for his confidence amid worries he could be left without a drive next season. Adrian Sutil came from 17th on the grid to finish in tenth. The German tried a reverse strategy to many on the grid starting on the medium tyre. He had looked on course for ninth but was passed by Sergio Perez who had pursued the German for a number of laps. Sergio Perez was awarded for his pursuit of the Force India of Adrian Sutil as he snatched ninth place from the German on the final lap. He had started eighth so would have hoped for better but will be happy with two points which were hard fought for. Jenson Button had a contrasting day with front wing damage forcing an early stop. He ended the day in 12th behind the Williams of Pastor Maldonado. Pastor Maldonado was Williams highest finisher as the team once again failed to finish in the points. The Venezuelan was 11th despite a mixed race although he never looked in contention for points. His teammate Valtteri Bottas completed a long first stint pitting on the 24th lap. He ended the day in 15th. Once again Sauber had looked on course for points before it all went wrong. Nico Hulkenberg had started fifth and had been running in the points before an unsafe release meant a drive through penalty. This put his right down the field and he ended the day behind his teammate in 14th. The German had overtaken both Toro Rosso as he tried to make his way back through the field. Esteban Gutierrez had some interesting battles and at one point was holding up Lewis Hamilton who could not find a way passed. In the end he finished the day in 13th just ahead of his teammate. Toro Rosso were almost invisible in the race. Daniel Ricciardo finished 16th while teammate Jean-Eric Vergne finished 17th on a day to forget for the team. Vergne had attempted a one stop race but was losing lots of time in the final laps going from in the top ten to 17th. Both drivers were overtaken by Nico Hulkenberg in the closing laps. Toro Rosso haven’t scored points in the last two races. Both Caterhams finished ahead of the Marussias in Abu Dhabi. Giedo van der Garde avoided damage when Kimi Raikkonen drove into the back of him at the start. Van der Garde and Charles Pic finished where they started in 18th and 19th. Both Marussias lost out to the two Caterhams. Jules Bianchi finished ahead of teammate Max Chilton. Bianchi was 20th while Chilton was 21. Red Bull and Sebastian Vettel took their fourth consecutive drivers and constructors titles in India as the German produced a flawless race. Vettel also remains the only driver to have ever won the Indian Grand Prix. Elsewhere there was disappointment for Webber and Alonso who both had days to forget. There were impressive performances from Grosjean and Perez and Force India secured a double points finish in front of a home crowd. Sebastian Vettel became a four time world champion as he finished on the top spot of the podium for the tenth time this season. People were expecting the race to be tough for Vettel, who was starting on the soft tyre, as many thought the medium compound tyre was the tyre to start on. The German pitted on lap two to dispose of his soft tyres and then made his way to the field. His teammate Mark Webber had started on the medium tyre and as predicted found himself in the lead once all those who were on soft tyres had pitted despite losing out two places at the start. After both drivers had done their stints on the soft tyres and now with both on the same medium tyre Vettel was ahead and from there on the win and title never looked in doubt. Webber was forced to retire from second with an alternator issue. Vettel’s win ensured his fourth drivers title and Red Bull’s fourth constructors title. The German celebrated his championship with some donuts on the track and was later reprimanded and Red Bull fined €25,000. It was a good day at the office for Mercedes. Nico Rosberg and Lewis Hamilton were both overtaken by Felipe Massa at the start and then battled it out between them. Rosberg made his way through the field overtaking a fading Kimi Raikkonen in the closing laps to secure second place. Lewis Hamilton lost out behind Valtteri Bottas whilst his teammate got passed after the first round of pitstops. Hamilton couldn’t manage to hold off Sergio Perez in the closing laps he finished sixth behind the Mexican and Massa who had leap-frogged him at the start. Romain Grosjean continued an impressive turn of form taking another third place finish. The podium finish had looked unlikely after his 17th place qualifying on Saturday but he managed 13 laps on the soft tyres he started on before switching to the medium tyres. He made his way through the field before fading teammate Kimi Raikkonen was told to get out of his way to allow the team to hold onto third place. Grojean demonstrated how to completed a one stop race in India. Raikkonen had also attempted to do a one stop but his medium tyres gave out with just laps left – he was passed by Rosberg and then Grosjean and Massa before pitting on the last lap. He did however set the fastest lap of the race on a new set of tyres. Felipe Massa was the best of the Ferrari finishers in a day which went terribly wrong for Fernando Alonso. The Brazilian leap-fogged both Mercedes at the start and led them through the first stint. Massa was up to second on the first lap and led the race for a few laps after Vettel pitted. Massa was catching Grosjean and Raikkonen in the closing laps but only made up one more place to finish the day in fourth. Alonso’s day went wrong from the first corner. He was the only man who could stop Vettel from taking the title but after Raikkonen and Webber clashed at the start Alonso had nowhere to go and hit the Red Bull. He had to pit for a new front wing on the second lap. The Spaniard didn’t manage to recover and ended the day in 11th outside the points. Sergio Perez produced one of the performances of the day. Starting on the medium tyre he kept himself in contention of the top ten and as those on soft tyres around him pitted he made his way up the grid. Perez stayed in third completing a long stint on the medium tyres before pitting for softs. After returning to the medium tyres Perez pushed Hamilton for sixth place and eventually passed him to take fifth for McLaren and ten well deserved points. Things started badly for Jenson Button who missed out at the start and never really managed to recover from there. At one point he was stuck in 17th place over 50 seconds adrift of the lead. He ended the day in 14th. Force India took a double points finish for the first time since the British Grand Prix. The team were looking for a good result at their home grand prix and will be delighted with eighth and ninth after struggling over the last few races. Paul di Resta was eighth and Adrian Sutil ninth. The German had spent a long time up front in the race after gambling on a one stop strategy. He managed 41 laps on the medium tyre and managed to make the soft tyres last for just under 20 laps at the end. Pirelli has suggested a 35 laps life for the mediums. Daniel Ricciardo held onto the tenth place and final point after a long first stint on the medium tyres. For a large proportion of the race he had been in third place before pitting on lap 33. He was behind the Sutil train after the final pitstops but held off Fernando Alosno for the final point. The Australian had benefited from Nico Hulkenberg being forced to retire his Sauber which was running in seventh. Jean-Eric Vergne could only manage 13th in the other Toro Rosso but had a few interesting battles with Alonso and Button. Pastor Maldonado took 12th for Williams on what was a better day for them. The team had been fined after FP2 due to a lose wheel nut but there were no such problems on race day. His teammate Valtteri Bottas had run in the top ten after a long first stint on the medium tyres but after his pitstop he fell back and could only manage 16th. It was a day to forget for Sauber as a string of point scoring finishes came to an end. A strong running Nico Hulkenberg had looked on course for another points finish in seventh but suffered a brake problem on his C32 which forced him to pit. The team sent him out again but he retired one lap later as the car was not driveable. Esteban Gutierrez had been in 11th but fell to 16th after a late pitstop. He had also been hit with a drive through penalty for a jump start and could have potentially been a points scorer if it hadn’t been for that. Max Chilton completed a long stint on the medium tyres to finish ahead of his teammate Jules Bianchi in 17th. Chilton had earlier contributed to rival Giedo van der Garde’s retirement after a clash on the first lap. Both Marussias finished on a day where their rivals suffered a double retirement. There was a double retirement for Caterham making it a disappointing day for them. Giedo van der Garde retired in the pits after a first lap incident with Marussia rival Max Chilton. Charles Pic was forced to retire after a serious technical problem on his car. Sebastian Vettel took another victory on his way claiming a fourth drivers title. The race had been led by both Romain Grosjean and Mark Webber but Vettel’s strategy allowed him to jump both. Elsewhere Sauber took their first double points finish of the season with Hulkenberg sixth and Esteban Gutierrez seventh. The Mexican became the first rookie to score points this season. Fernando Alonso’s fifth place finish keeps him in contention for the drivers title. Sebastian Vettel finished on the top spot of the podium for the ninth time this season. The German lost out to Grosjean at the start to be third on the first lap. In the end it was strategy which helped him to the win with Grosjean and Webber having also led the race at different points. The two stop strategy was the winning combination with Grosjean and a three stopping Webber stuck in traffic. Webber started on pole but lost out to Grosjean who led from lap one. The Australian later regained the lead but was on a three stop strategy. After his third stop he was behind Grosjean and managed to catch him but could only pass him with a few laps left to run. It was too late to catch Vettel and challenge for the win. The double podium moves the team a step closer to the constructors title. Romain Grosjean had looked set to take his first F1 win showing Lotus he is more than ready to lead the team next season. Third place looked inevitable with the speed of the Red Bulls but the Frenchman had managed to jump both at the start to lead the race. Like Vettel he was two stopping but Vettel managed to get the better of him. Grosjean ened third after Webber passed him on the penultimate lap. Kimi Raikkonen had started ninth but by the end of the race he was in fifth. The Finn charged through the field and eventually got passed Nico Hulkenberg to chase Fernando Alonso. Although he was catching the Spaniard late in the race there were not enough laps for him to catch and pass. Fernando Alonso finished in fourth after a close battle with Hulkenberg and Raikkonen. Alonso was behind his teammate at the start and could not find a way past. At the first set of pitstops both Alonso and Massa had been jumped by Hulkenberg. This remained until after the second pitstop. Hulkenberg was still ahead but Alonso bided his time catching the Sauber as passing near the end of the race. Felipe Massa eventually held on for tenth place after having a drive through penalty for speeding in the pit lane and a close battle with Jenson Button on the line. The Briton got ahead for ninth right on the line after they had clashed at the previous chicane. Alonso can still mathematically win the championship but seems to have given up on his chances. Sauber had a double points finish for the first time this season. Hulkenberg finished a strong sixth whilst Esteban Gutierrez claimed the first points of his F1 career with seventh holding off Nico Rosberg to the line. Hulkenberg jumped the Ferrari’s at the first round of pitstops and attempted to hold off Alonso and Raikkonen but was eventually passed by them both. Eight points were well earned alongside Gutierrez’s six. The Mexican produced the good result keeping a faster car behind him and becoming the first rookie to score points this season. The double points finish moves the team further ahead of Toro Rosso in the constructors championship. It was a day to forget for Mercedes. Lewis Hamilton attempted to get between the slow starting Red Bulls but had his tyre punctured after hitting Vettel’s front wing. He made it back to the pits but his car was damaged enough to have to be retired after just nine laps. Nico Rosberg also had a difficult day he had been running higher up in the top ten before being given a drive through penalty for an unsafe pit release. This dropped the German driver back and he was unable to pass the impressive Sauber of Esteban Gutierrez. He finished the day in eighth taking hime four points. McLaren came away with two points in what proved to be an interesting and battle-filled race for the team. Jenson Button struggled with his tyres throughout the race having to make three stops. He was ovetaken by Massa on the last lap but managed to get ahead of him in the drag to the line to finish ninth with two points. Sergio Perez also had to make three stops – however one was unscheduled after he suffered a puncture after a collision with Nico Rosberg and could only manage to finish in 15th. Force India continued with their slump in form with Paul di Resta finishing in 11th and Adrian Sutil in 14th. Di Resta had been fighting for the final point among the other midfield drivers but could not keep up and finished ten seconds down on tenth place finisher Massa. Sutil didn’t have a much better day. Having started last he went straight through the middle of the backmarkers at the start to avoid the Giedo van der Garde and Jules Bianchi collision at the start. Another race with no points means Sauber moves ever closer to passing them in the constructors title. Jean-Eric Vergne finished 12th whilst teammate Daniel Ricciardo was 13th. The Australian gambled by starting on the harder compound tyre and ran a long first stint. After his pitstop he made a charge through the field but went off the track passing a Force India. This gave him a drive through penalty which pushed him back down the grid. He had been in the lower points but was unable to get back finishing behind his teammate. The two Williams drivers were fighting it out among themselves throughout the race as they failed to make the points once again. Pastor Maldonado had been in the points at one point but fell back to finish 16th just a few lengths ahead of his teammate Valtteri Bottas in 17th. Caterham finished ahead of Marussia once again as Charles Pic beat Max Chilton to the line. Pic had avoided the incident which his teammate Giedo van der Garde got caught in to finish 18th. Van der Garde was involved in a first lap incident with the Marussia of Jules Bianchi as both ended their day in the gravel. Max Chilton finished behind Caterham rival Charles Pic as they continue in their battle for backmarker supremacy. Chilton was 19th. Teammate Jules Bianchi ended his day in the gravel on the first lap after a collision with the Caterham of Van der Garde. Sebastian Vettel once again took a comfortable victory but all eyes were on the action happening behind him. Kimi Raikkonen battled from his starting position of ninth to finish second whilst teammate Romain Grosjean started and finished third to take the last podium place. The star of the race was Nico Hulkenberg who finished fourth having passed both Ferrari’s on lap one and then kept both Lewis Hamilton and Fernando Alonso behind him. Elsewhere there were close battles between Massa, Perez, Gutierrez and Maldonado. Sebastian Vettel took another victory as he moves ever closer to his fourth title. His rivals will be happier that the gap between him and the Lotuses was much closer. He was also battling to keep his tyres in top conditions nursing his right front tyre until the end of the race. Mark Webber was out of luck in Korea. A ten-place grid penalty for his taxi ride in Singapore left him 13th on the grid. He made progress through the race but shortly after pitting Perez’s delamination saw him run across the debris and pick up a puncture. With no medium tyres left he had to switch to the supersoft. After the safety car from the Perez incident Adrian Sutil lost control of his Force India at turn three and careered in Webber. The Australian’s car then caught on fire leaving his team with a tough task to get the car ready for next weekend in Japan. The fire brought out the second safety car but not before a fire marshall car took to the track causing confusion. It is mathematically possible for Vettel to take his fourth title next weekend. Kimi Raikkonen finished a triumphant second having started in ninth. The two safety cars helped the Finn before he overtook his teammate late in the race to steal the spot from the Frenchman. Romain Grosjean had started third and got ahead of Hamilton to pursue Vettel. Whilst the gap was a lot closer than in previous races it was not enough. Grosjean made a small mistake which gifted Raikkonen the place although it was very close between the two teammates. Nico Hulkenberg and Sauber were the stars of the race. Having started seventh the German managed to pass both the Ferrari’s of Felipe Massa and Fernando Alonso on the opening lap. In the first stint of the race he kept ahead of the double world champion and was still ahead him after the first pit stop. At the restart after the first safety car Hulkenberg passed Hamilton and the pair then battled to the end. There was a close moment where it looked like it was all over and Hamilton had managed to get passed, however the German was quickly back passed and he finished the race in fourth. Esteban Gutierrez started in the top ten and was unlucky to miss out on the last point after a close battle with Massa, Maldonado and Perez. Lewis Hamilton finished fifth in a disappointing day for the Briton. He had started second but was passed by Grosjean early on. He held on to third until the first round of pitstops. After his teammate Nico Rosberg suffered a nose/front wing failure the team pitted him before Hamilton who lost out and had to complete another lap. He ended up behind Hulkenberg and despite passing him on one occasion at turn one he couldn’t get passed. Rosberg’s race nearly ended in sparks but he managed to keep the car running back to the pits, he finished the day in eighth after a battle with the McLaren of Jenson Button. Both the Ferrari’s found they were passed by the Sauber’s on lap one. Felipe Massa caused mass confusion after spinning at the third corner on lap one. A number of drivers had to take avoiding action and it pushed Massa well down the field. After the incident Alonso was behind Hulkenberg who he was unable to pass. After the two safety cars he was behind Hamilton and Hulkenberg. As the two battled the Spaniard closed up and diced with Hamilton but could not find a way passed. He finished the day in sixth. Massa battled with Maldonado, Gutierrez and Perez to finish ninth. Jenson Button was McLaren’s highest finisher with both drivers finishing in the top ten. The Briton finished seventh in the late battle for fourth between Hulkenberg, Hamilton, Alonso and Rosberg. He was passed by Rosberg but got the place back to take home four important points. Sergio Perez brought out the first safety car after his front right tyre threw off its tread throwing its debris across the track. He made it back to the pits and clawed his way back up the standings after a battle with Maldonado, Massa, and Gutierrez to take the last point. Williams missed out on the final point after a close battle between the teammates, Maldonado and Bottas, and the McLaren of Perez, Ferrari of Massa and Sauber of Guiterrez. 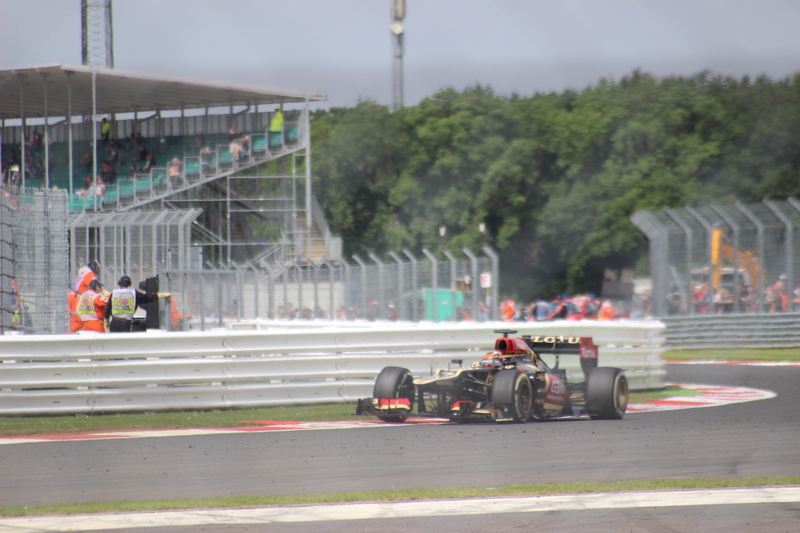 In a few corners Maldonado went from tenth to 14th after being passed by the above and his teammate. Bottas ended the day in 12th while his teammate was behind him in 13th. Charles Pic took 14th ahead of his teammate Giedo van der Garde in 15th as they continue their close battle with Marussia. The Dutchman got a drive through penalty for forcing Jules Bianchi’s Marussia wide on the opening lap and recovered to pass both Marussias. The Marussia pair finished 16th and 17th with Bianchi beating Max Chilton to the finish line. Van der Garde got a drive through penalty for forcing Bianchi’s Marussia wide on the opening lap but recovered to pass both Marussias before the end of the race. Both Toro Rosso’s retired on the last lap with mechanical issues. Daniel Ricciardo had been running in ninth after a long first stint which saw him mix it with the front runners. However his day ended after a mechanical problem which saw him pull up at the side of the track. Jean-Erice Vergne also ended his day with a mechanical problem but was classified finishing 18th ahead of Ricciardo in 19th. It was a day to forget for Force India. A less than impressive performance in qualifying in Saturday continued on Sunday. Paul di Resta continues to diminish his chance of a top drive after crashing out of yet another race on lap 25. His teammate Adrian Sutil caused Mark Webber’s retirement from the race after spinning his Force India at turn three on the first safety car restart. The German managed to continue before pulling into the pits with five laps to run. Sebastian Vettel once again took a dominant victory in Singapore. Alonso and Raikkonen raced strongly to make up the podium despite being over thirty seconds behind the German. Many may have thought the race was boring but there were hints of excitement with wheel-to-wheel racing between the Mercedes, McLarens, Massa and Hulkenberg. It only seems like a matter of time before Vettel walks away with his fourth title. Sebastian Vettel took yet another dominant victory as he moves ever closer to taking his fourth drivers title. It had looked like he had lost first position to Nico Rosberg at the first corner but Vettel managed to get back ahead just seconds later. From then on Vettel was challenged very little. After the safety car, caused by Daniel Ricciardo’s crashed Toro Rosso, he was set to race Romain Grosjean at the finish before the Frenchman had to retire. Mark Webber was chasing Kimi Raikkonen for third when he suffered a gearbox problem. He was quickly caught by those behind before his car caught on fire. After hitching a lift with Fernando Alonso back to the pits both were called to the stewards. They both received a reprimand but this is the third reprimand for Webber this season. As a consequence he will get a 10-place grid drop for the next race in Korea. Fernando Alonso finished second recovering from a disappointing qualifying. Having started seventh he was third by the second corner after running down the side of the track. Despite his impressive race he was not in a position to challenge Vettel with the German having a gap of over thirty seconds. Felipe Massa kept us entertained as he battled with the Mercedes, McLaren’s and Sauber of Nico Hulkenberg as the race drew to a close. He ended the day in sixth. Both Massa and Alonso had gambled at the safety car pitting for Medium tyres. Massa will hope he is doing enough to advertise himself to other teams in the paddock. Kimi Raikkonen overcame a terrible qualifying and back pain to finish third. The Finn took the final podium place having started the race in 13th. There had been fears he would not race after suffering from back pain on Saturday. Raikkonen also gambled like Ferrari by pitting during the safety car for Medium tyres and made them last until the end of the race. He overtook Jenson Button to claim third as the McLaren began to struggle with its tyres. Grosjean had looked set to produce a great result after his third place start. Midway through the race he was sixth and would have challenged Vettel at the end of the race but was forced to retire with a valve problem on his engine. The Frenchman was less than impressed with his car’s failure. The team got a reprimand after a member of the team assisted with Grosjean’s stop without wearing head protection. After staring from second on the grid Rosberg attempted to get ahead of Vettel at the first corner. The German managed to get ahead of his compatriot if only for a few seconds before Vettel passed him. After that Rosberg was unlikely to challenge for the lead again. He held onto second despite suffering some a lack of downforce due to a front wing problem. Whilst this was sorted at his pitstop he was passed by Alonso. Unlike others both he and Lewis Hamilton did not pit under the safety car and had to stop again. They followed each other as the laps counted down passing the Saubers of Gutierrez and Hulkenberg, then the McLaren’s of Perez and Button before passing the stricken Webber. They finished fourth and fifth. Jenson Button had looked on course to take McLaren’s first podium of the season after rising to third following the safety car. The Brit had pitted under the safety car changing to the Medium tyre and attempting to last until the end of the race. After losing third to Raikkonen he was quickly passed by Webber, Rosberg, Hamilton and Massa. He was by this point eighth and now battling with his teammate Perez. After Webber’s car problems Button and Perez finished in seventh and eighth. Hulkenberg scored points for the second race in a row. The German finished in ninth after starting 11th. Hulkenberg had a number of close battles throughout the race including the clash with Perez where he was unhappy to have to give the place back. The team gambled with both drivers pitting under the safety car for Medium tyres and staying on those tyres until the end of the race. Hulkenberg and Gutierrez were sixth and seventh before being passed by Webber, the Mercedes and Massa. Hulkenberg held off Force India’s Adrian Sutil for the two points. Gutierrez had out qualified his teammate and reached Q3 for the first time on Saturday but by the end of lap one he was behind Hulkenberg. The Mexican then lost a further two places to Sutil and the Williams of Pastor Maldonado at the end of the race to finish 12th. Adrian Sutil took the last point with a final charge to the finish. The German had a bad start from 15th with his 17th placed teammate Paul di Resta passing him on lap one. Sutil quickly caught the battle between the McLaren’s and Hulkenberg as the laps counted down with all four separated by less than half a second. Di Resta had looked on course for points before crashing out of the battle for ninth with just laps to go. The Brit had run as high up as third being one of the last to make his first pitstop. This won’t do his hopes of getting a top drive after failing to finish the last three races. Pastor Maldonado missed out on the final point as he finished 11th for Williams. He overtook Gutierrez in the closing laps but could not reach Sutil to take 10th place. Valtteri Bottas found himself behind the impressive Caterham of Giedo van der Garde in the early part of the race before passing him. The Finn once again had to pass Van der Garde before the end of the race. He also managed to pass the Toro Rosso of Jean-Eric Vergne for 13th. Daniel Ricciardo made Q3 in qualifying and started the race from ninth but got a terrible start to be passed by a number of cars on lap one. The Australian only lasted until the 24th lap where he went straight on and into the wall bringing out the safety car. Jean-Eric Vergne’s day did not go much better. He made it to the end of the race but could only finish in 14th. Giedo van der Garde spent some of the race mixing it among the midfield. He ended the day in 16th behind Bottas, Vergne and a stationary Webber. The Dutchman beat Marussia rivals Max Chilton and Jules Bianchi. Teammate Charles Pic ended the day last of the backmarkers in 19th. Max Chilton finished behind Caterham rival Van der Garde. The Brit beat his Marussia teammate Bianchi on merit under the lights. Bianchi finished ahead of the other Marussia of Charles Pic. Kimi Raikkonen will return to Ferrari in 2014 to drive alongside Fernando Alonso. The announcement came just hours after Felipe Massa announced on Twitter he was leaving the team. Raikkonen’s move to the team had looked inevitable after Daniel Ricciardo was announced as the second Red Bull driver prior to the Italian Grand Prix. The Finn previously drove for Ferrari from 2007- 2009. On making his return to F1 in 2012 he drove for Lotus. Sebastian Vettel took a dominant victory as Fernando Alonso finished second much to the delight of the Italian crowd. Mark Webber converted his front row qualifying to third – his first podium at Monza – whilst Nico Hulkenberg boosted his chances of a better seat next year with fifth in his Sauber. Both Kimi Raikkonen and Lewis Hamilton’s title chances suffered after a poor qualifying session and race. Here is how each team finished. Red Bull converted a front row start into getting both drivers on the podium. Sebastian Vettel led from the off as Mark Webber lost out on second to Felipe Massa. Vettel extended his lead over the coming laps to drive comfortably to the end. At the end Fernando Alonso managed to close the gap but could get no closer than five seconds. Webber lost out to both Massa and Alonso at the start but the Australian fought back to get within a second of Alonso. Webber was also told to short-shift in the closing laps but still had enough to finish third. A great result for both drivers and the team with both the drivers and constructors titles not looking too far off. Ferrari would have been hoping for more at their home race but after failing to get on the front row in qualifying second and fourth may be all they could have hoped for. Felipe Massa started ahead of Fernando Alonso and briefly got himself up to second before letting Alonso past. The Spaniard then trailed Vettel for much of the race leading for a number of laps before pitting. At the end he managed to close the gap to just over five seconds but it was not enough. Massa’s race may go some way to helping his 2014 seat chances but rumours suggest he is most likely on his way out of the team – with an announcement imminent. Kimi Raikkonen and Nico Hulkenberg are being touted as replacements. Nico Hulkenberg produced the drive of the day to finish a strong fifth in a less than brilliant Sauber. The German started third on the grid after an outstanding lap on Saturday. He lost out at the start and by the first corner he was fifth but a controlled race meant that is where he stayed. He had been in a race long battle with Nico Rosberg but managed to keep ahead of the Mercedes driver right up until the end. It was a contrasting day for Esteban Gutierrez – who had been the faster Sauber driver throughout the weekend – with him eventually finishing 13th. Question marks are over both drivers heads with Sergey Sirotkin set to be one of the teams drivers in 2014. Hulkenberg is also being touted as a candidate for the Ferrari and Lotus seats. Either way this performance will have helped Sauber who have struggled for much of this season. Mercedes had a mixed weekend but both drivers finished in the points. Nico Rosberg had a race long battle with Nico Hulkenberg but could not pass him despite being faster. He ended the day in sixth. 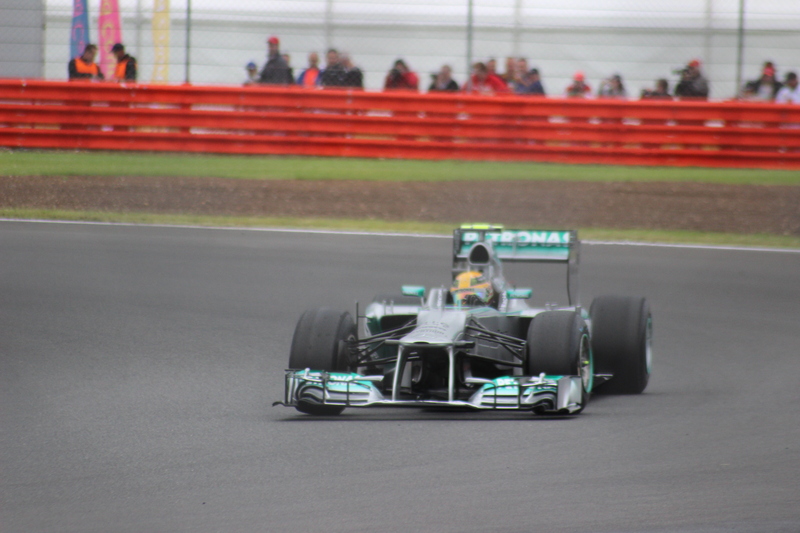 Lewis Hamilton was forced to recover from a poor qualifying which saw him fail to make Q3. A slow puncture meant an early stop which pushed him down the field. A fighting drive saw him make numerous overtakes in the closing laps to finish ninth. He had been on course for eighth but after overtaking Romain Grosjean on the last lap he ran off the track and had to give the place back. Hamilton has suggested his title hopes are now over. Daniel Ricciardo went some way to proving he is the right man to replace Mark Webber next season with a seventh place finish. The Australian managed to keep his Toro Rosso ahead of Romain Grosjean and Lewis Hamilton in the closing laps using the great straight line speed of his car. Jean-Eric Vergne had been keeping Jenson Button and Hamilton behind him in the opening laps but was forced to retire with a transmission problem. He was out of the race on lap 15. Ricciardo now moves ahead of Vergne in the drivers standings. A day to forget for Lotus. Both drivers started outside the top ten but Romain Grosjean managed to get himself into the top ten. He finished eighth after a battle with Daniel Riccardo. In the last laps he kept Lewis Hamilton behind him to keep hold of the four points. Kimi Raikkonen’s day didn’t start well when he ran into the back of Sergio Perez at the first corner. He had to pit because of the damage. He drove well to claw his way back up the field but still had to make a second stop. He was overtaken by Hamilton as they made their way thorough the field. Raikkonen failed to pass Jenson Button and ended the day in 11th. On McLaren’s 50th birthday race the team would have hoped for more. They had seemed to have made some sort of recovery and passing Force India in the constructors championship at the last race. However things didn’t really go according to plan in Monza. Both Sergio Perez and Jenson Button had mixed it in the top ten but only one of them stayed there at the end of the race. Button took the final point finishing 10th. Perez was 12th after being passed by Raikkonen. There was disappointment for Williams once again as both drivers finished outside the top ten. Both Pastor Maldonado and Valtteri Bottas were passed by Gutierrez and Adrian Sutil on the opening lap and battled throughout the race to make up lost ground. They ended the day in 14th and 15th behind Gutierrez. Both Force India drivers were forced to retire from the race in Monza making it a race to forget for the team as they continue to struggle in the second half of the season. Paul di Resta’s race was over on lap one when he locked up and drove into the back of Grosjean. The stewards are currently investigating the incident. Adrian Sutil started from 17th after a three place grid penalty for impeding Hamilton in qualifying. He made up the places but was forced to retire on the last lap. Charles Pic beat teammate Giedo van der Garde in the battle of the backmarkers. The Frenchman had a strong advantage over his teammate as both finished ahead of the Marussias. Caterham still trail Marussia in the constructors. Jules Bianchi once again finished ahead of teammate Max Chilton as they continue their inter-team battle. The team still lead Caterham in the constructors title but have been beaten by their fellow backmarker team in recent races. Daniel Ricciardo has been announced as Mark Webber’s replacement for the 2014 season. The 24-year-old Australian will race alongside Sebastian Vettel next season. Red Bull announced their new line up on Monday night ending rumours of a move to the team by Kimi Raikkonen or Fernando Alonso. Ricciardo has raced for Toro Rosso since 2012 having started in F1 with HRT in 2011. A comfortable victory for Red Bull and Sebastian Vettel sees the team extend its leads in both the drivers and constructors titles. The German took the lead from Hamilton on the first lap and was never challenged after that point. Elsewhere there was triumph for McLaren as a solid sixth place lifts them above Force India in the constructors. There is also drama as Pastor Maldonado causes chaos at his pitstop colliding with both Force Indias and earning himself a penalty. Here is how each team got on. Vettel took a comfortable if slightly boring win in Spa. He managed to pass polesitter Lewis Hamilton on the first lap and was challenged little after that. He leads the drivers championship by 46 points and could be on course for his fourth title after a Kimi Raikkonen retirement leaves his title hopes in jeopardy. Whether the post race boos were for Vettel or the Greenpeace protestors we will never know. Teammate Mark Webber was unhappy with his clutch on the grid and once again he suffered a poor start. He made his way through the field and was closing on Nico Rosberg for fourth but fell off the pace to finish a respectable fifth. A good weekend all round for the team but focus will once again shift to who will replace the departing Webber next season. Principal Horner says the decision is weeks away but with Raikkonen discounting himself and Webber telling the media the decision has been made and it will be a compatriot, rumours are rife. A hectic qualifying left the Ferrari’s of Fernando Alonso and Felipe Massa in ninth and tenth on the grid. However they demonstrated impressive race pace on Sunday to emphasise suggestions had qualifying been dry they could have been on the front row. 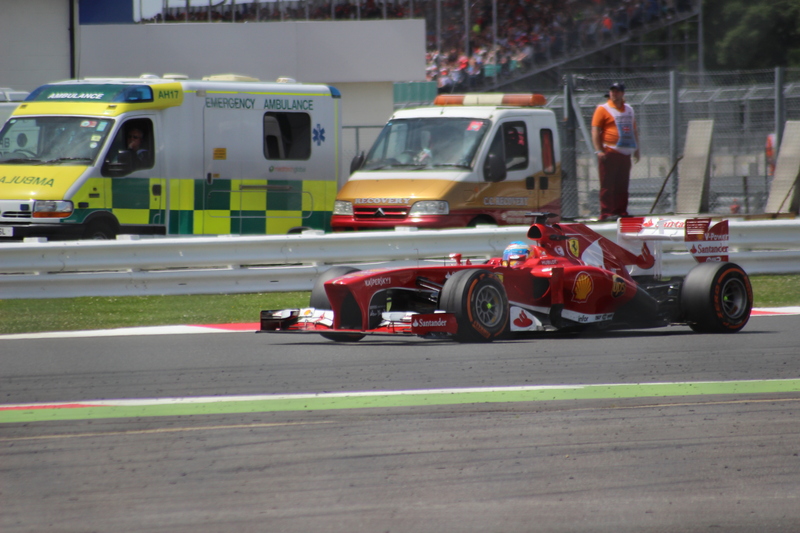 Alonso got a good start and began to make his way through the field. He ended the day in second some 16 seconds down on Vettel. The result boosted his championship chances with him moving to second in the title race. Massa recovered from a bad start to end the day in seventh. He overtook the one-stopping Lotus of Grosjean late on in the race with just four laps left to run. Hamilton was unable to convert yet another pole into a race winning performance despite an impressive performance last time out in Hungary. The Briton was passed by Vettel on the first lap and could not keep in touching distance of the German. He was later passed by Alonso but maintained the gap over his teammate Rosberg to finish third. Hamilton’s title hopes remain in tact but he will need another win to help bridge the gap to Vettel. Rosberg finished in the points with a strong fourth keeping Webber at bay. He ended the day just two seconds off Hamilton. Jenson Button finished in sixth in Spa in what was a welcome result for McLaren. The team have been battling it out with Force India and Button’s eight points see them move into fifth in the constructors title four points ahead of their rivals. Button had been running in the podium positions at points in the race after a impressive start and even led the race briefly. He didn’t have the pace of the front runners and ended the day behind Webber. Sergio Perez finished the day 11th after a drive through penalty for squeezing Romain Grosjean off the track on lap eight. Romain Grosjean was Lotus’ sole finisher with a drive to eighth place. The Frenchman – on a one stop strategy – had been fighting it out up and down the field. Late in the race he was passed by Massa stopping him from claiming a well deserved higher finish. Teammate Kimi Raikkonen was forced to retire ending run of 27 consecutive point finishes. His hopes of points ended after a brake problem on the car. It may have also seen his championship hopes suffer after he fell to fourth in the standings – he had been in second behind Vettel. Paul di Resta had looked on course for his first pole position for a few moments on Saturday before eventually qualifying fifth. His day didn’t get much better on Sunday after a poor start left him falling behind. He recovered some of the places before being passed by his teammate. Later in the race when both he and Sutil tried to pass a pitting Maldonado, Di Resta was taken out of the race. The Venezuelan had been battling with Esteban Gutierrez before being passed by Sutil. He hit the Germans car before braking and heading for the pits taking out Di Resta in the process. 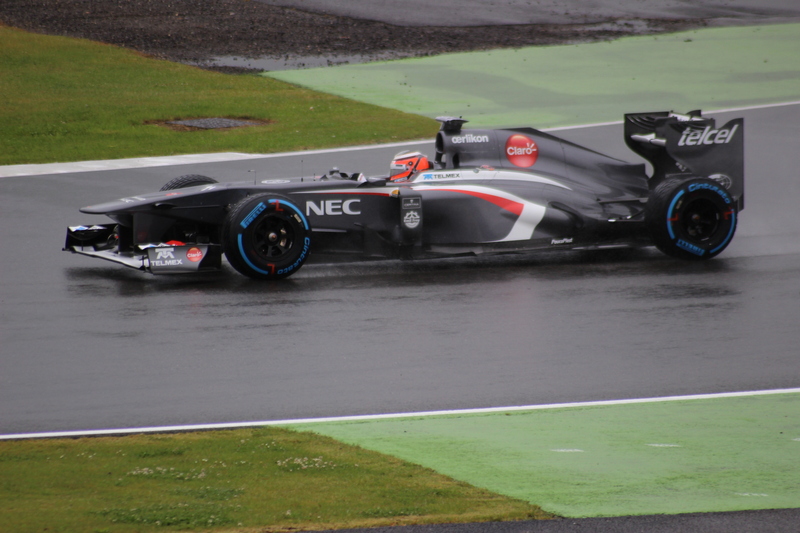 Sutil managed to hang on for ninth and two valuable points but was less than impressed with Gutierrez’s tactics. Daniel Ricciardo produced an impressive late surge to pass Nico Hulkenberg and his teammate Jean-Eric Vergne and claim the last point. The Australian had started 19th one place behind his teammate but produced a good race to finish tenth. The result will continue to boost his confidence as rumours continue to gather pace that he may be on his way to Red Bull. Vergne ended the day 12th after being on course for the last point. He escaped a penalty after apparently causing Hulkenberg to go off the track as they battled it out. The Sauber drivers finished a disappointing 13th and 14th. Hulkenberg had started well getting from 11th to eighth on the opening lap but tyre degradation forced an early stop and a move to the harder compound tyre did not yield results. 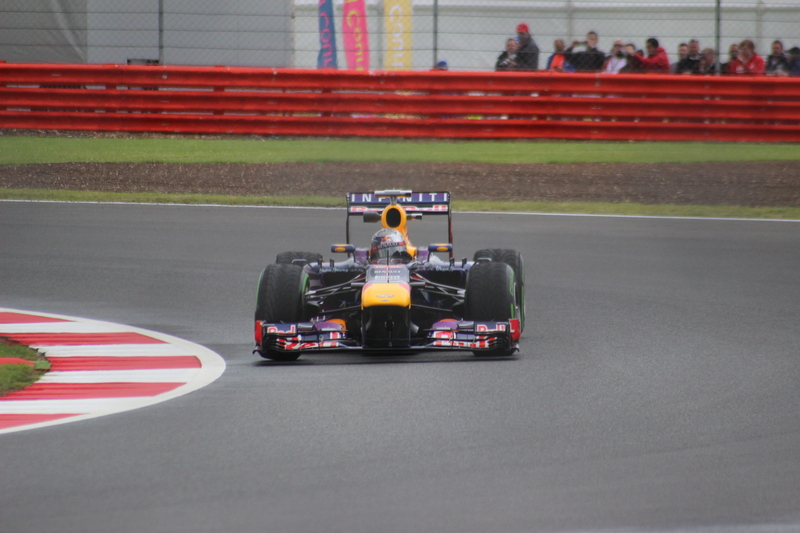 He was passed by Vergne and Ricciardo late in the race to move further down the field. Gutierrez had been on course to finish close to his teammate but was caught in the Maldonado crash and was also given a drive through penalty for gaining an advantage by going off the track. Maldonado’s hopes of points didn’t materialise after he crashed into both Force India’s when trying to pit. The Venezuelan had been battling with Esteban Gutierrez before being passed by Sutil. Di Resta then attempted to follow the move. Maldonado hit Sutil’s car before braking and heading for the pits taking out Di Resta in the process. He received a ten second stop and go penalty for the incident and ended the day in 17th. His teammate Valtteri Bottas was 15th as Williams’ higher placed finisher. Giedo van der Garde drove an impressive race having reached Q2 on Saturday. 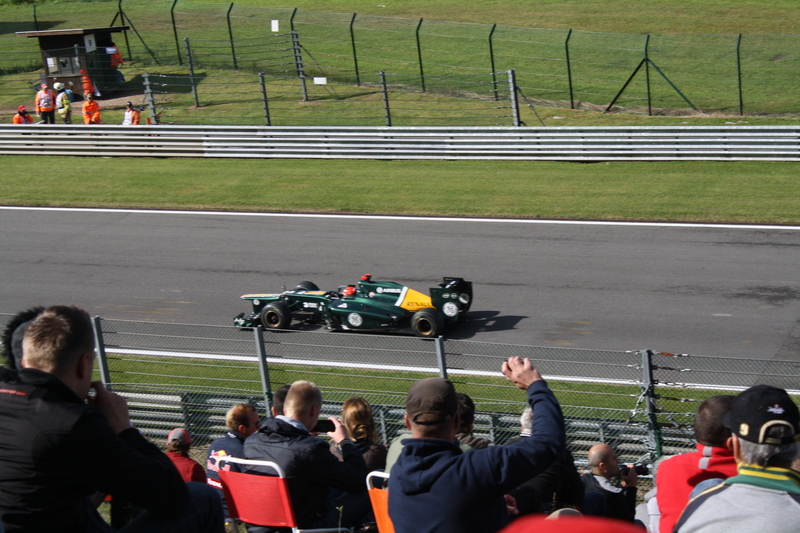 He had started 14th for Caterham and held off Pastor Maldonado to finish a strong 16th on Sunday. Charles Pic failed to make Q2 on Saturday starting 22nd and last. He retired on lap 8. Both Marussias made it into Q2 with Jules Bianchi starting the race from 15th and Chilton from 16th. The battle between the Marussias and the Caterhams continued in the race but they were quickly falling towards the back and ended the day in 18th for Bianchi and 19th for Chilton.